IPL 2019, KXIP vs SRH LIVE score: Can Hyderabad overcome middle-order woes? 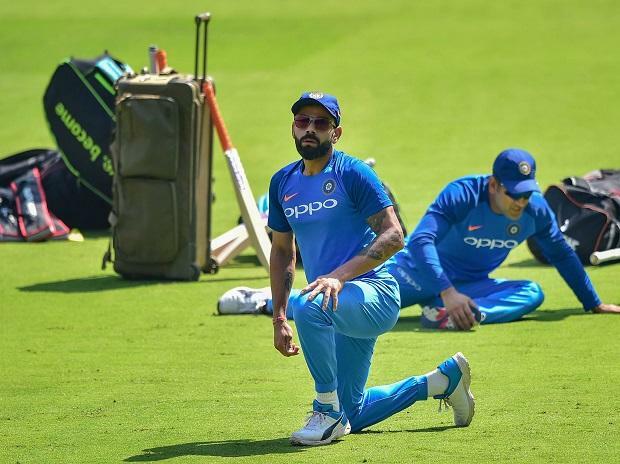 The Indian squad for the ICC World Cup will be selected on April 15 in Mumbai, the CoA decided Monday apart from giving a one-week deadline to TNCA to get required clearances for keeping the IPL final in Chennai. The Committee of Administrators (CoA) along with three BCCI office bearers met in the Capital to discuss various issues related to IPL and Cricket Operations. The last date for announcing the World Cup squads is April 23 but BCCI has decided to announce it eight days prior to the scheduled date. The World Cup will begin on May 30 in the United Kingdom. The decision was informally taken at an earlier date but was announced on Monday. While Indian team's World Cup preparations are on right track with only a couple of slots up for grabs, the formidable Chennai Super Kings team might feel a bit uncomfortable after BCCI zeroed in on Hyderabad as the stand by venue for the May 12 final. The issue of the three empty stands -- I, J and K -- at the Chepauk has been an issue since 2012 and whenever Tamil Nadu Cricket Association (TNCA) has organised matches (IPL or international), the three stands have remained out of bounds for the spectators as the local municipal corporation has not provided a fit certificate. The only exception was an ODI match in December 2012, when an exception was made as India was playing Pakistan. The issue many believe is more political between the state government and the TNCA. "Three stands constitute 12,000 spectators. It looks really odd on TV whenever one finds completely empty stands. We don't want CSK to lose out on home advantage if they qualify for the Play-Offs," a senior BCCI official told PTI on condition of anonymity. "But we have given them a week's time to get clearances. If they fail to procure the certificates, the final will be shifted to Hyderabad and play-off and eliminator will go to Bengaluru. Since Sunrisers were runners-up in 2018, they will be hosting the final," he added. Meanwhile, the CoA also decided on the format of the mini Women's IPL which will be played with three teams. There will be four games instead of the odd-exhibition match played last year. "The matches will be held at 8 pm which is also TV prime time for men's matches. One game will be held in Visakhapatnam and other games will be in all likelihood held in Bengaluru," said a source. It was also learnt that CoA has asked the steering committee of Players' Association to expedite process of formation of the body. "The Players' Association is expected to take shape in next two weeks. The four member committee has been told to expedite process," an official said. "It will be a fresh process but PayTm can also bid but just like new bidders." Even BCCI's PR company AdFactors' contract with the board has come to an end and they will have to show 'Expression of Interest' (EOI) and again apply through proper process. The BCCI will be getting Rs 2.09 crore from Cricket Australia after reconciliation of accounts for the past 10 years. "There have been discussions on accounts settlements over all the past bilateral series between India and Australia. We are supposed to get Rs 2.09 crore. The discussions are still on. The office bearers will again meet the CoA on April 20," a BCCI official said. 2. i) TNCA given a week to sort out empty stands issue. ii) Hyderabad, Bengaluru on stand by. 3. i) Three-team mini women's IPL to be played in Visakhapatnam and Bengaluru. ii) Round robin format and final which includes 4 games. ii) 8 pm slot for women's matches. Players' Association's set to be formed in the next two weeks. 5) Fresh tenders and Expression of Interest to be sought for tournament title sponsorship, PR contract. 6) BCCI set to get Rs 2.09 crore from Cricket Australia after reconciliation of accounts for last 10 years.